Direct ink writing is an interesting and attractive method to replace traditional fabrication techniques such as etching, milling, and lithography for flexible electronics because of its simple process, low cost, green nature, and good prospects for development and application. In this work, graphene/polypyrrole (G/P) binary conductive material was prepared by in situ polymerization of pyrrole monomer and graphene oxide with vitamin C (VC) as green reducing agent. Then graphene/polypyrrole/carbon black (G/P/CB) conductive ink was fabricated using a mixture of alcohol, ethylene glycol, glycerol, and deionized water as solvent. Electronic circuits were obtained by directly writing the prepared conductive ink on flexible substrate, high-gloss photographic paper. 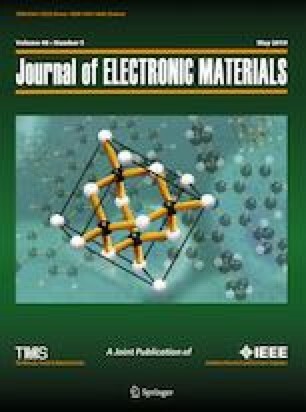 When the loading of G/P binary conductive material, carbon black, ethanol, ethylene glycol, glycerol, sodium carboxymethyl cellulose, and deionized water was 54 mg, 546 mg, 12 mL, 30 mL, 30 mL, 480 mg, and 51 mL, the electrical conductivity, solid content, contact angle, and viscosity was 146.3 μS/cm, 4.3%, 34.6°, and 35.8 mPa s, respectively. The ink exhibited excellent water and acid resistance, and the electronic circuit written using the ink showed good uniformity and mechanical flexibility. Scanning electron microscopy evaluation of cross-sections of G/P/CB ink lines on photographic paper and light-emitting diode experiments confirmed that the three-dimensional flexible paper-based conductive circuits containing 9 wt.% G/P formed a complete electrical network. This study was sponsored by the National Natural Science Foundation of China (Grant No. 31670556) and Postgraduate Research and Practice Innovation Program of Jiangsu Province.